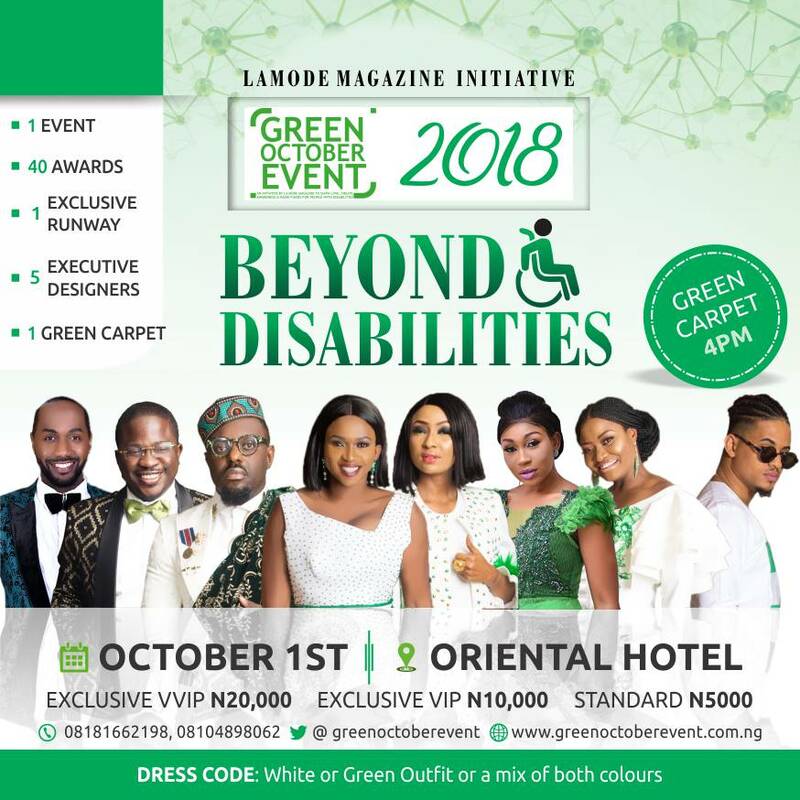 Support Green October Event 2018 themed “Beyond Disabilities”. Voting is still on going for the Fashion and Humanitarian Awards. 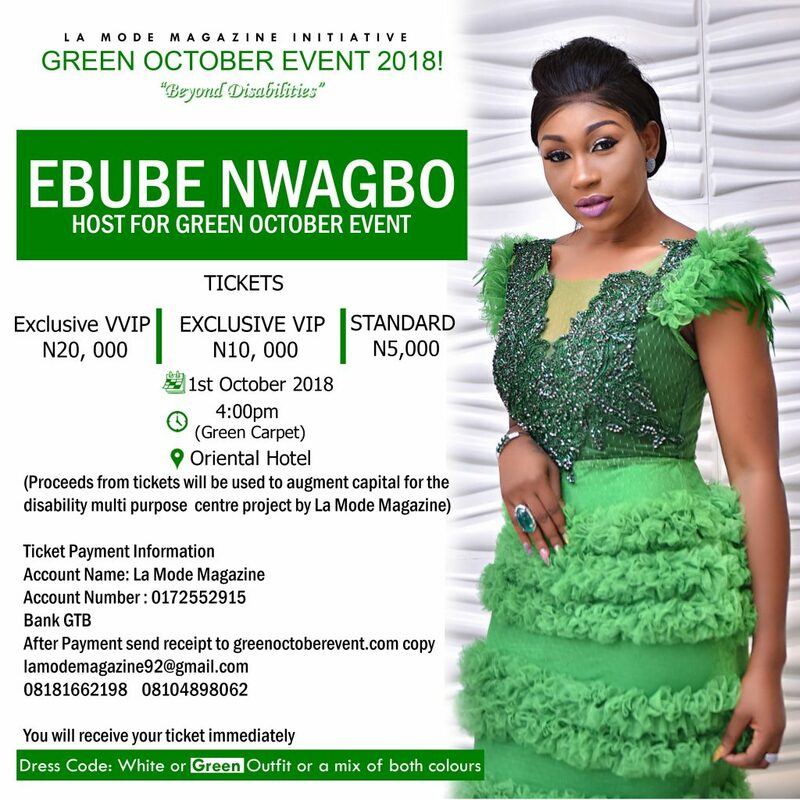 Tickets are also available and proceeds from the tickets will be used to augment capital for the disability multi purpose centre project by La Mode magazine.